Kids these days are being assaulted with junk food advertising through TV commercials and mobile advertising through apps. Up until the age of six, children cannot tell the difference between TV programming and advertising. Right now, junk food has these super cute mascots and movie themed-licensed food deals like Minions on Fruit Gushers or Oreos; Shrek on M&Ms, Snickers, Skittles and even Twinkies. 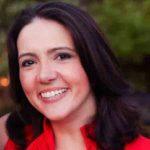 How Can Zucchini or Broccoli Compete? How can parents help their child learn to eat healthy when food manufacturers spend millions of dollars in advertising promoting unhealthy products? 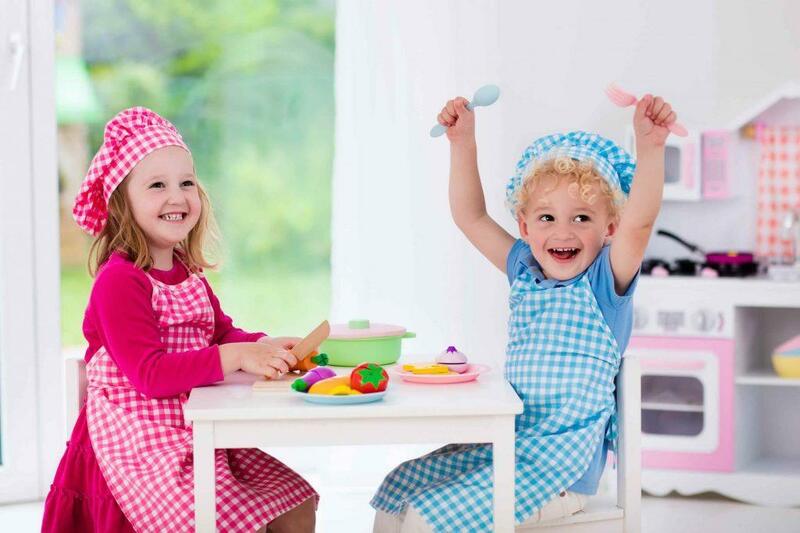 Studies show that kids who play with food have less of a chance of developing food phobias later on. 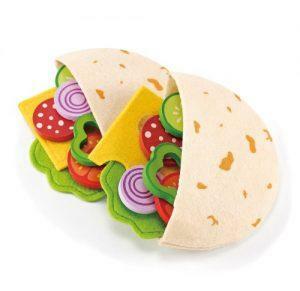 Have you kids play with toy food. 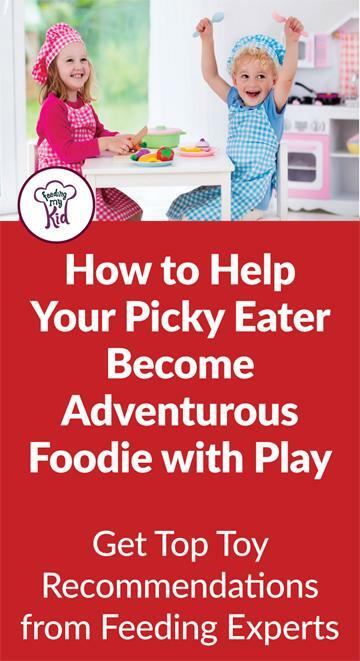 Below, we provide a number of high-quality toy food options to help your child become familiar with a variety of fruits and vegetables. Play is one of the best ways to help children learn. Here are just some of the ways to engage your child in play. 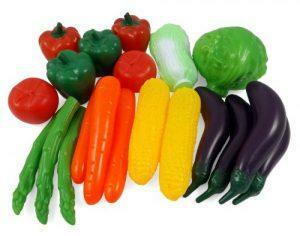 You can sort toy fruits and vegetables by color, size, type, count them, etc. You can pretend to cook the food, play grocery store, roll them around in a grocery chart and pretend to grow them in your garden. Tip. Don’t buy toy junk food. 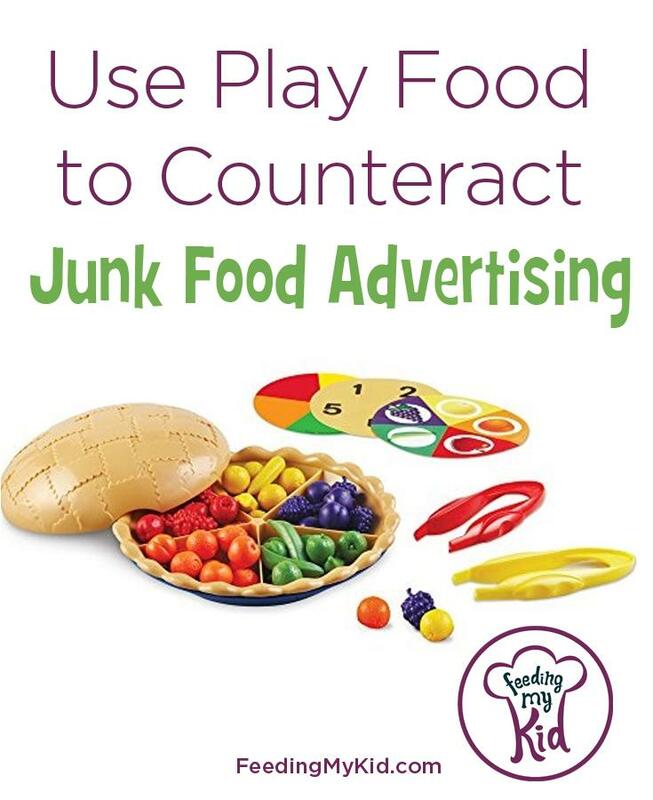 Kids get enough exposures to junk food all around them; don’t add to it by allowing toy junk food in the home. Sensory play is so important. 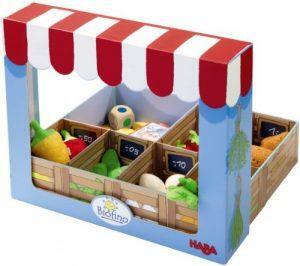 This set not only comes with a huge variety of fruits and veggies, but helps kids learning about colors and sorting. 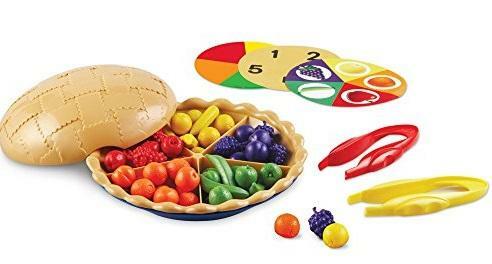 This awesome pie helps kids with colors, sorting, counting and fruit recognition. 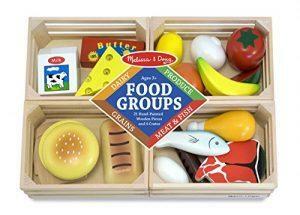 Use this kit to teach young children about the basic food groups! 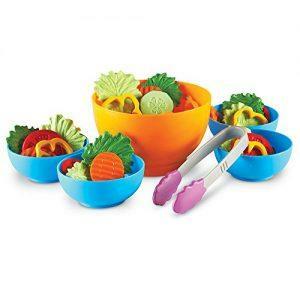 This super cool set lets kids prepare their veggies for cooking by peeling and cutting them. 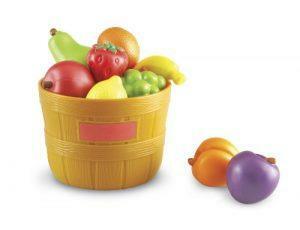 An awesome set to get kids excited about preparing and eating more fruit! 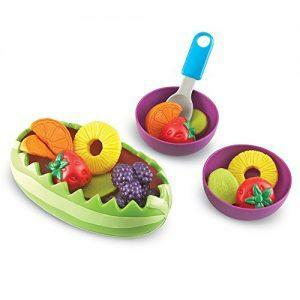 A great set to introduce salad and get kids comfortable with vegetables. 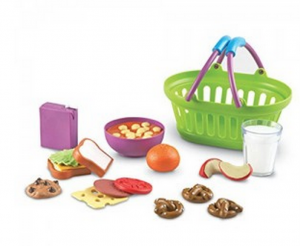 This set includes everything needed to teach kids about preparing fun, healthy breakfasts! A fun way for kids to serve each other lunch while playing school! 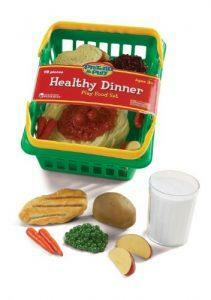 Includes everything for your child to make fun healthy dinners, complete with side dishes. 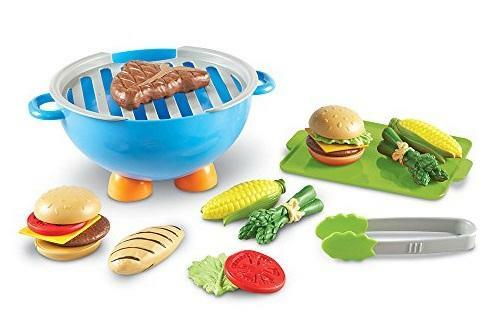 For all the young grill masters out there! 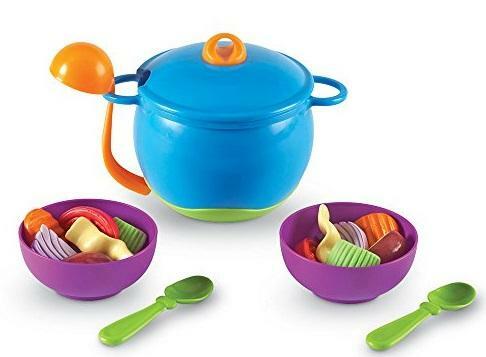 Kids will love to cook up a batch of fresh homemade soup with this set! 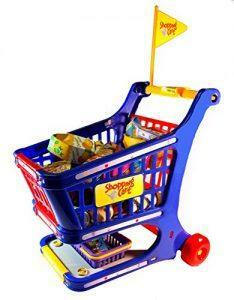 A perfect child sized cart to fill with all their favorite fruits and veggies. 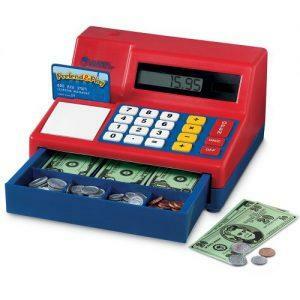 This cash register makes a great addition to any play store or restaurant! 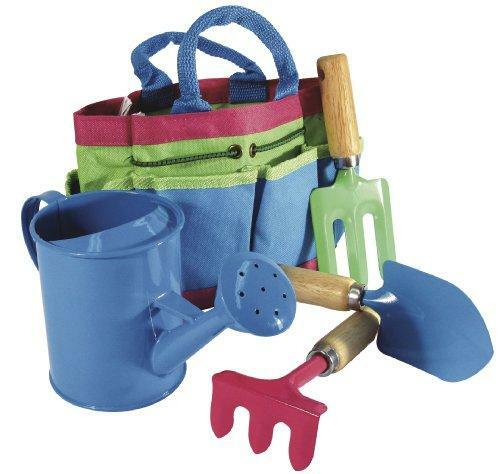 Help your children learn the basics of growing their own food with this educational set. Perfect beginner set of fruit. Helps to build vocabulary and engage in dynamic play. 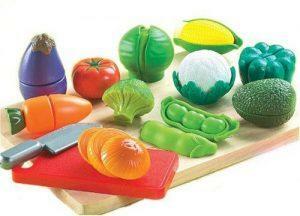 Great starter vegetable set. Food is life sized and perfect for learning the names of vegetables. 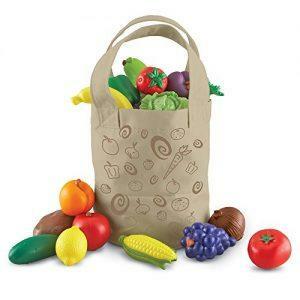 A great fruit and veggie mix with a fun shopping tote. 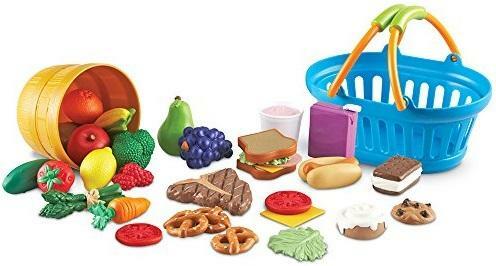 This set includes a fun mix of produce as well as items like meat, sandwiches, and snack options! How Fun! 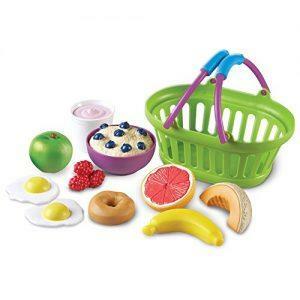 A great addition to any play food collection.